A farm girl with an off-farm job, Nicole Adrian rarely misses a chance to work agriculture into a conversation. 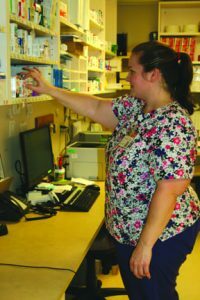 “Many times I use my work at the pharmacy to tell the agriculture story,” said Nicole, a certified pharmacy technician who fills prescriptions and orders drugs for a Platteville hospital. 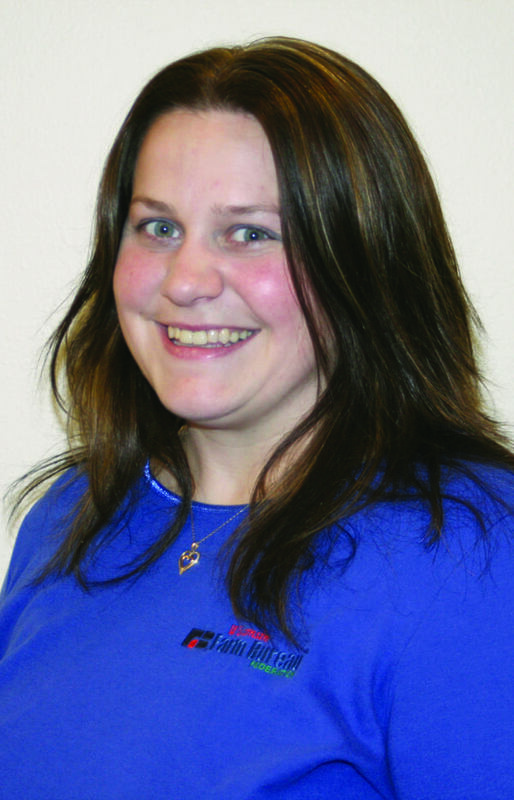 In her fourth year on the Wisconsin Farm Bureau Women’s Committee and her first year as its chair, one of Nicole’s priorities is to spread agricultural awareness. Returning home from a state Women’s chair conference in Washington, D.C. in March, Nicole was impressed by how much Wisconsin’s Women’s Program for Education and Leadership does in comparison to other states. One of her goals as chair is to get the word out to other Farm Bureau members and potential members so they can see the gamut of Women’s activities available. “A lot of people don’t know what the Women’s Committee is and what we do. I’d love to get more women involved and educate people on what we do,” she said. One of the ways she hopes to do this is through a monthly newsletter to showcase what’s happening statewide. 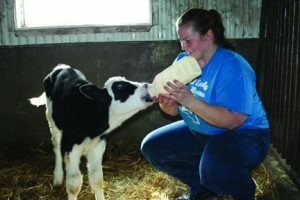 From the successful Wisconsin Ag Women’s Summit in March to opportunities to reach students with the Ag in the Classroom program and from July beef promotions to a pop tab challenge to help the Ronald McDonald Houses, Nicole says there is something for all women involved in agriculture. Nicole is not the only Farm Bureau leader in her family. Her husband, Matt, is on the Grant County Farm Bureau’s Board of Directors, her dad Don Steinbach serves as the board vice president and her mother Pat is the vice president of the county’s Women’s committee. Her experience in Farm Bureau has taken her to Washington, D.C. three times: once as a Young Farmer and Agriculturist member, as an Institute graduate and with the Women’s Committee. 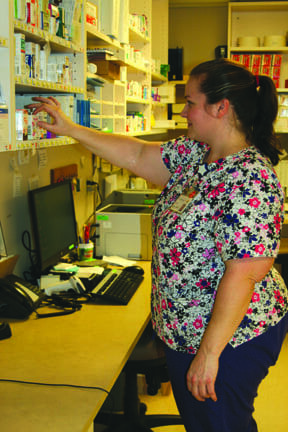 When she is not working, participating in a Farm Bureau event or running her three children (Hayden, 13; Allison, 11 and Abby, 7) to 4-H, soccer, drama and wrestling, Nicole enjoys church, FFA alumni, bowling, volleyball and being a part of the National Pharmacy Purchasing Association. In all her endeavors, Nicole is not bashful to spread conversations about agriculture. Story by Sheri Sutton. Original version appeared in the April/May 2014 issue of Wisconsin Farm Bureau Federation’s Rural Route.